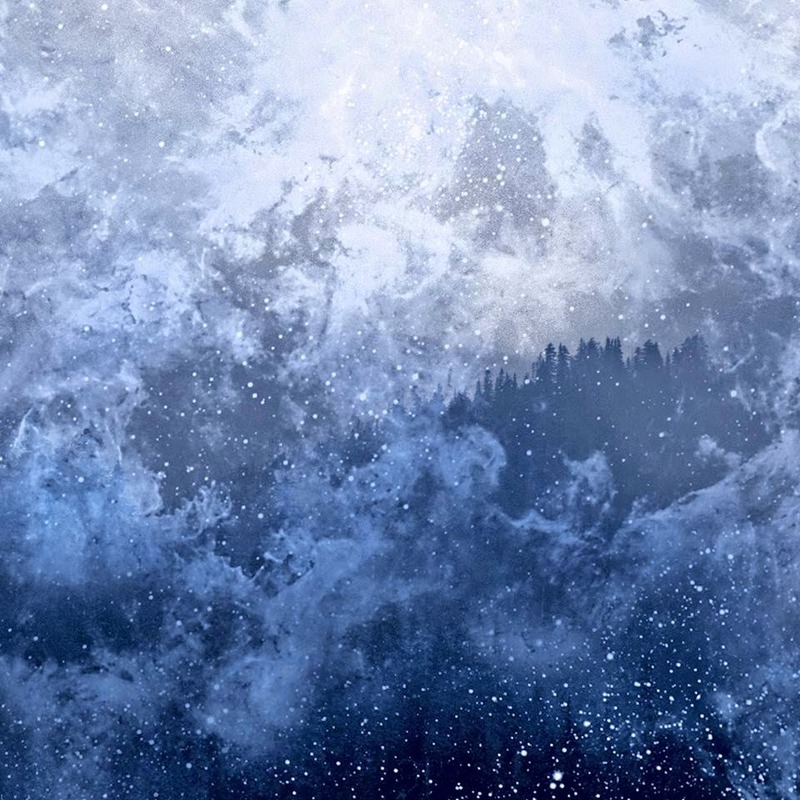 Wolves in the Throne Room (WITTR) have been honing their craft for well over a decade. Celestite is their fifth full length album release and sees the band veering into far more progressive territory than before with an instrumental companion piece to their previous album; Celestial Lineage. Comprising five tracks, two of which run to over ten minutes, the spacey cover of the album echoes the traits of the album. A very ambient opening on ‘Turning Ever Towards The Sun’ shimmers delicately for the opening as it expands before a left turn sees the ambience hit a darker note. Brass led tones create an awkward soundscape, as the guitars create a minimal sound reminiscent of some of Ulver’s material on Messe. The opening is almost in two parts as it pulses and pulsates for the second half whilst the unnerving drone continues. Atom Heart Mother Pink Floyd springs to mind as the vastly cinematic and track never loses your attention. The opening of the album, although dark in places, doesn’t allow you to decide where you are. Second track, ‘Initiation at Neudog Alm’, is far more sinister and menacing as the guitar drone is a lot more intense. The guitars spiral downwards using a definite Stephen O’Malley influence. ‘Bridge of Leaves’ continues the darkness but without the dense guitars. Organ sounds fill the void of the track and the entire dark flourishes spout off the track to create another horrifying mood. As the track nears its completion there is a glimmer of light as the mood lightens. This mood segues a little into the next epic composition; ‘Celestite Mirror’, this is synth heavy, and as the track moves through it various peaks and troughs, there is a synthesised melody that moves away from the main body of the track. More melody ensues with an almost flute like sound adding more colour to the constantly evolving tableau of sounds. The ending strains of the track see the melodies paired with more droning guitars to take you back to that extremely unnerving place from earlier in the journey. ‘Sleeping Golden Storm’ closes the album with layer upon layer of synthesised strings building towards another epic sounding ode to the vast. Throughout the album, the journey is epic. Some parts are more exciting than others as some sections get bogged down in their own pomp. However, this album from a band that like to push boundaries is a very good listen. It is lengthy and certainly challenging, but that is certainly enough for you to give it a go. If you are a fan of Shabda, Sunn O))), Ulver or the earlier Pink Floyd material around Saucerful of Secrets and Atom Heart Mother, this is well worth an hour of your time. Get the headphones on and disappear to a different world.